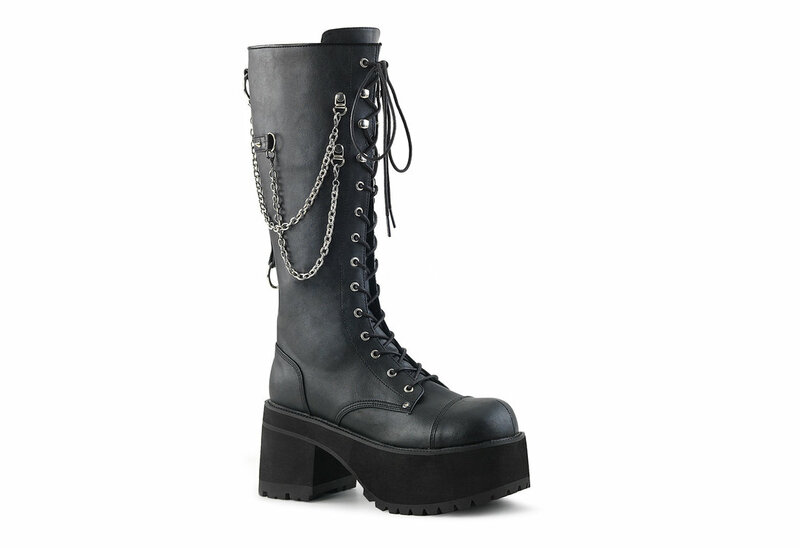 The Ranger-303 is a black faux leather platform boot with removable chain details. 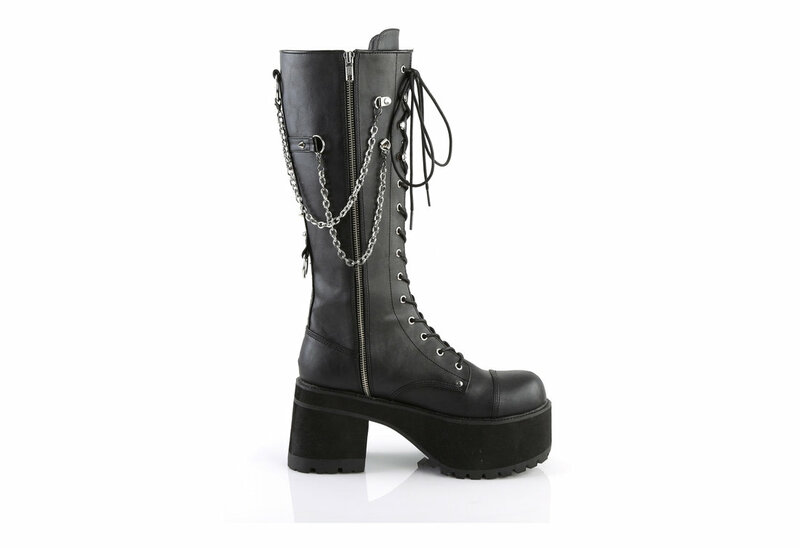 These boots have a heel height of 3 3/4 inches and a platform of 2 1/4 inches. 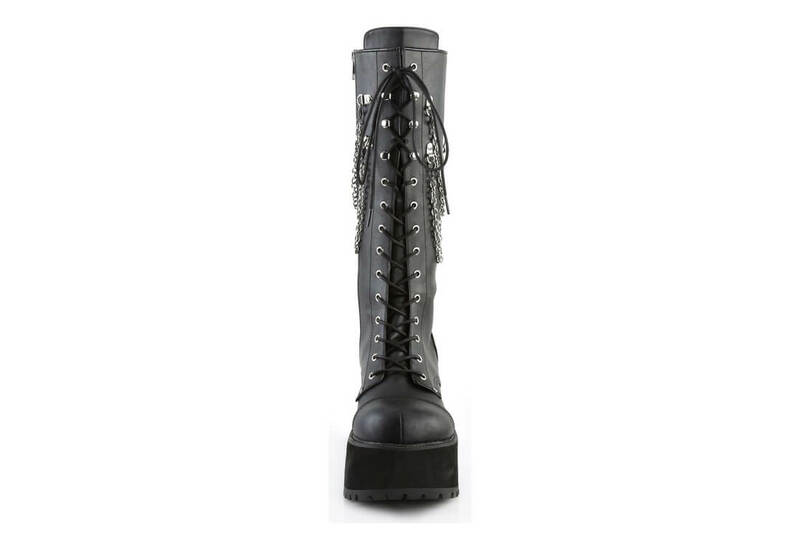 These boots also come with a full inner zipper for easy on and off. 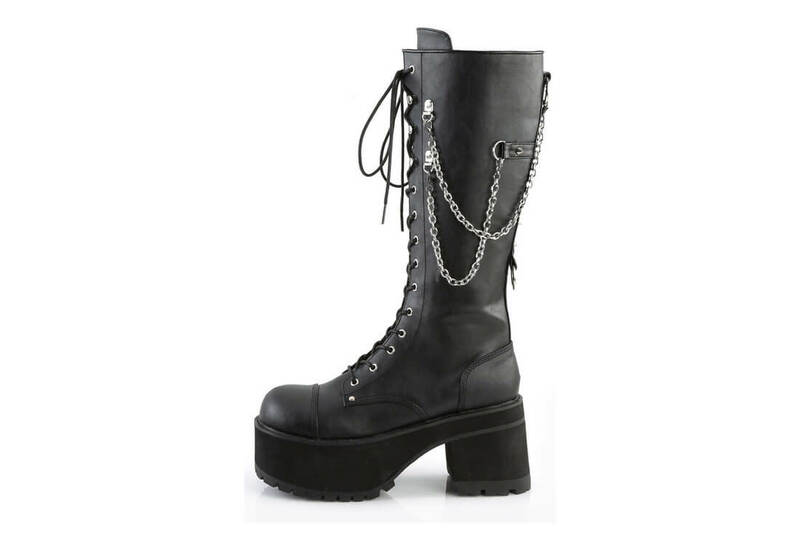 This is my second set of Demonia boots. 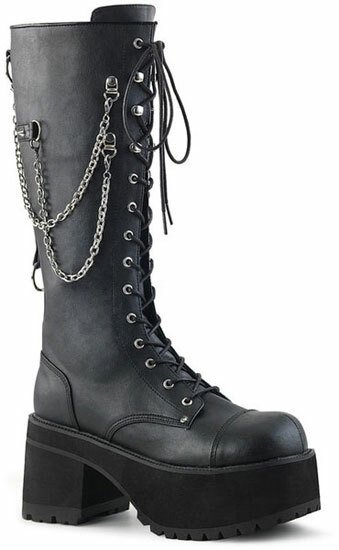 I consider them to be a very good value, and am quite satisfied with their construction. Their sizing is accurate.